This article gives a complete review about Duke Nukem Forever game. More details about weapons and its uses in the game are also quoted in the article. System requirements to run Duke Nukem Forever in PC are also given in this article. Read this article full for more details. Duke Nukem Forever is the popular and best first person shooting game released in 2011. Compared to older version of Duke Nukem 3d, Duke Nukem forever uses more graphics and player can use more latest and different weapons. 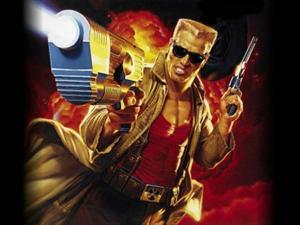 The developers of Duke Nukem forever includes 3D Realms, Triptych Games, Gearbox Software and Piranha Games. George Broussard is the designer of the game. The game was published by 2k games. Duke Nukem forever was released in Microsoft Windows, PlayStation 3, Xbox 360 and Mac OS X. Players will control the character named 'Nukem' in the game. The game play of the game is similar to the old Duke Nukem 3d game. Players can play with single player and multiplayer mode in the game. You can use different types of weapons used in Duke Nukem Forever according to the situation. Given below are the list of weapons in Duke Nukem Forever game. Player can use mighty foot to attack enemies when guns are not available. Duke can kick with his foot towards enemies and objects in the game. Compared to older version of Duke Nukem, a foot kick will not give much damage to the enemies. When the ammo of your gun is empty you can hit the enemies with buttstrock of a weapon. A hand punch can be used to attack the enemies. Player can use M1911 Pistol which has got the option for reloading ammos automatically. Shotgun is a powerful weapon used in Duke Nukem forever which has got high firing capacity compared to pistols. Automatic Reloading is also included for shotguns in the game. Ripper can be used in tough situations to kill the enemies. Ripper uses lots of ammo in a single shot, so use it carefully. Shrink ray weapon is used to shrink the enemies and after shrinking, you can make a attack with your mighty foot. You can use Freeze Ray to freeze your enemies for some seconds and make a attack at that time. Pipe bomb can be thrown against the enemies from a long distance. Pipe bomb is more explosive and can kill multiple enemies in the game. Player can use a remote to control the pipe bomb. Rocket Propelled Grenade is one of the most power full and best weapon in Duke Nukem forever game. Nukem can use 5 rockets to kill the enemies at a time. Devastator uses twin rocket launcher which is more explosive than RPG. A single shoot will split multiple small rockets towards the enemies. Minimum and recommended system requirements for Duke Nukem Forever to play in PC is given below. Worried about How to play Fear 3 or wondering about How to score more on Fear 3? Well, Fear 3 is a first person- shooter game. This Game is a sequel to the game Fear 2. To know more about this video game, Fear 3 Video game tips or Fear 3 gaming techniques and strategies check this Fear 3 wiki article. Worried about How to play Crysis 2 or wondering about How to score more on Crysis 2? Well, Crysis 2 is a first person- shooter game. This Game is a sequel to the game Crysis and Crysis Warhead. To know more about this video game, Crysis 2 Video game tips or Crysis 2 gaming techniques and strategies check this Crysis 2 wiki article. Those who are searching to find the best pc games in 2011 releases, this article will surely help you. This article gives you a list of best PC games and its system requirements, which is released in the year 2011. Read this article full for detail information. This article gives you complete information about the L.A. Noire, latest video game released in Xbox 360 and PS3. This article gives you information about the characters and their roles in the game. Complete review about the game is also quoted in the article. Super Mario Galaxy 2 is the most popular and award winning video game released in WII console. This article gives you complete review about Super Mario Galaxy 2 game. More details about awards and achievements of Super Mario Galaxy 2 is also quoted in this article.